It’s widely recognized that about half of the medicines prescribed to patients are not taken as directed. A study in the Annals of Internal Medicine study showed that 31% don’t even pick up their prescription in the first place. When patients don’t take appropriately prescribed medicines, they fail to achieve better health outcomes. A 2018 study estimated that the annual cost of prescription drug-related morbidity and mortality resulting from nonoptimized medication therapy ranged from $495.3 to $672.7 billion in 2016 US dollars. It also resulted in 275,689 deaths per year. Medication nonadherence is a major issue. But solving it is a major challenge because the reasons are multi causal and rooted in human behavior. Here are 5 of the most common, with some possible solutions. It takes time and effort to educate patients about the benefits, side effects, potential risks, and instructions for taking their medicines. Multiply that by the number of pills prescribed for many elderly patients and those with chronic conditions, and it’s often more time than clinicians have in their schedules. Add to that that fact that few patients are given sufficiently useful, written instructions about their medicines. Consider too that patients who take a daily medication that doesn’t produce an immediate change or result - for instance, a blood pressure or cholesterol-lowering medication - can become confused can about why they are taking the medicine at all. All of these things may cause the patient to wonder whether taking their medicine is worth it. Solution: Educating patients about why and how to take medicines isn’t a one-time conversation. It has to be ongoing, and the communication must come from multiple people on the care team, in multiple modalities. In-person education with teach-back. Written handouts. Follow up emails or texts to remind patients of the importance of what they are taking. Investing a small amount of time creating these materials and training the care team to use them in patient education will make a big difference in patient understanding and in turn, the chance they will adhere to treatment plans. Solution: First, physicians must be sensitive to the price of the drugs they are prescribing, and do their best to find an option that is affordable; especially for polypharmacy patients. Second, I’ve discussed the communication technique of Motivational Interviewing (MI) in a recent post. The blame-free, non-confrontational tenets of MI can be particularly helpful when trying to determine if cost is a reason patients aren’t taking their pills. 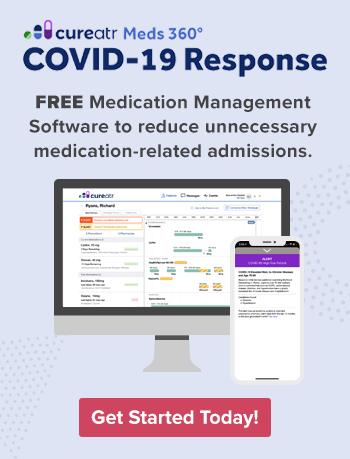 Here’s a useful resource for how to implement MI into your patient conversations, from the American College of Clinical Pharmacy. Third, because of the stigma and embarrassment many people feel about not being able to afford their medicines, create a handout of available resources and provide it proactively to everyone. Put it on the website. 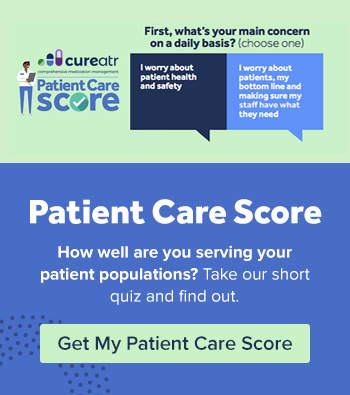 Email it to patients in your patient communications and newsletters. It’s a non-threatening way to get information into everyone’s hands. In addition to listing resources such as NeedyMeds, RX Assistance Programs, state assistance programs, and local agencies that can help, use the handout to reinforce the importance of taking medicine as prescribed. These can be either real or perceived. The real ones cause symptoms that become too annoying or uncomfortable to patients, so they stop taking the medicine. For instance, the ACE inhibitor lisinopril, used to control hypertension, can cause a persistent, dry cough in some patients. Simvastatin, used to lower cholesterol, can too. Both drugs are taken daily to manage these chronic conditions, but the dry cough can cause some people to stop taking it. The perceived ones are those patients read on the Internet, or hear about from friends. Many of them may be myths, but scary enough to make the patient stop taking the medicine, and failing to inform their physician. Solution: This one goes back to what I said in #1: education is a long-term, multi-modality process. Fear of side effects - as well as other fears, and questions - are allayed when physicians and nurses have an open, non-judgemental conversation with patients. Using MI techniques can be very beneficial in these conversations. You’ve also got to check in with patients about their medicines at every visit. And for polypharmacy patients and those with long-term conditions, in between visits too. Some pills once a day. Some pills twice a day. Some with food; some without food. Don’t drink alcohol. Don’t drive for two hours after taking this pill. May cause dizziness. It’s enough to drive anyone crazy; most especially the 87 year old with early dementia, or a busy, single mother of two who works two jobs. Solution: If the regimen doesn’t fit into the patient’s routine and lifestyle, there’s a good chance they won’t take their pills. Consider every patient an N of 1. Discuss their routines and lifestyle needs and prescribe accordingly, being mindful that prescribing fewer medications may result in strong compliance with the treatment protocol. Many lower income, elderly, and disabled patients do not own a car and may not have easy access to bus or subway transportation either. This isn’t limited to rural patients; many urban residents live in non-serviceable areas or their mobility issues limit them from taking certain forms of public transport. And the cost of a taxi is usually not in their budget. Solution: A lot of hospitals are addressing this issue at discharge by using care coordinators to help patients navigate their options. The good news is, there are multiple. Medicaid beneficiaries can access non-emergency medical transport which covers a certain number of rides per month. Some Medicare Advantage plans have transportation benefits. And hospitals as well as medical offices are using Uber Health, a new service from Uber that provides safe, HIPAA compliant rides, as well as tracking and reporting useful for population health management. Assemble the resources available in your state and local area and make them available to all patients in writing. Watanabe JH, Mcinnis T, Hirsch JD. Cost of prescription drug-related morbidity and mortality. Ann Pharmacother. 2018;1060028018765159. doi: 10.1177/1060028018765159.